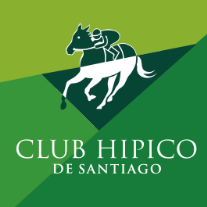 Founded in 1869 as the first equestrian center of Santiago for horse racing, Club Hípico de Santiago had its official opening, as well as its first races on September 20, 1870, under the leadership of its first president, Don Francisco Baeza Sotomayor. Soon, distinguished men and women came to the premises of the Club to meet and socialize, while enjoying the best equestrian show in the country. The first building of the Club was constructed in the fashion of the time, a graceful structure of wood and glass. The building suffered a devastating fire in 1892, leaving it in ruins. However in a short time the stands were rebuilt, this time in iron and glass, which greatly improved comfort for the public. The new structure, a monumental work of art by the famed architect Josué Smith Solar, was inaugurated on April 7, 1923. The building has become an important landmark of the city of Santiago and in 2002 was designated a historic monument by the government for its contribution to the city. At Club Hípico de Santiago, people of all ages can have a memorable day, delighting in its parks, restaurants and mountain views. Presently, Club Hípico de Santiago holds racing every second Monday, Fridays, and nine Sundays per year. On a regular race day, approximately 5,000 people attend the races but that number can swell to over 50,000 for any days that hold a Group 1 race, of which 8 are held throughout the year. Thousands of fans and bettors also enjoy the races from one of its 200 betting ships, which are distributed throughout Chile. Annually the Club holds 1,600 races across both of its racing surfaces, grass and dirt.